Sew Can Do: Byte-sized Pieces Shows Us Treats With A Kick! Byte-sized Pieces Shows Us Treats With A Kick! 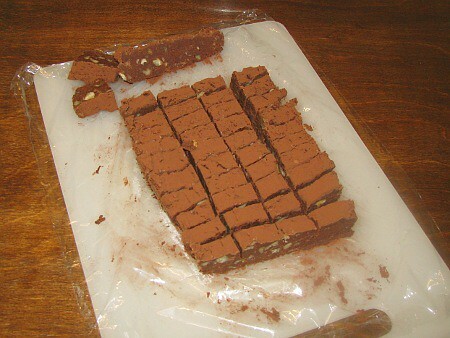 favourite chocolate recipes, we'll make some Irish Treats and Marble Chocolates. 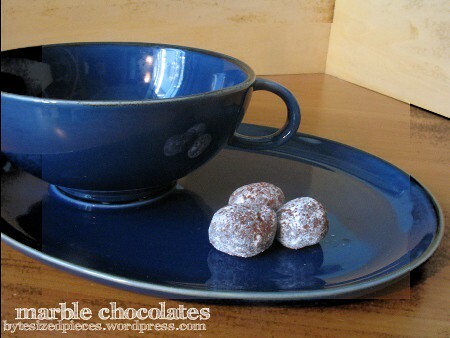 They are both very easy and quick to make and are a great bring-along for parties. Needless to say, they're also delicious! 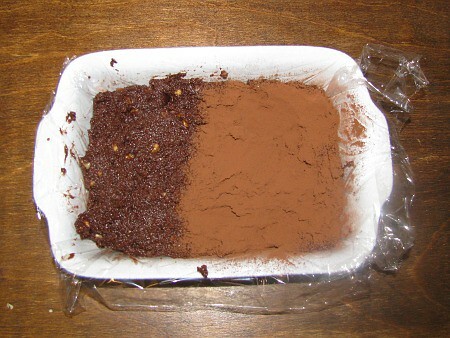 Both the Marble Chocolates and the Irish Treats follow the same basic idea for making chocolates. I hope they'll give you some ideas to try and experiment yourself. 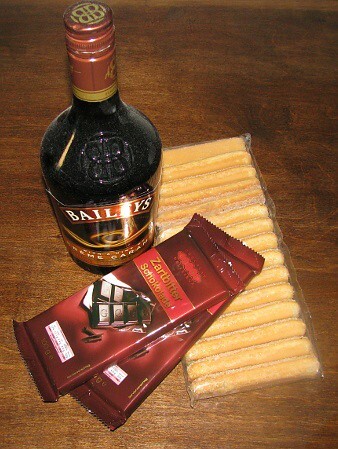 You can easily swap the alcohol in these with juices or flavored milk. Don't be afraid to replace ingredients you can't get or don't like with something else. Try out a few variations and see what you like best! 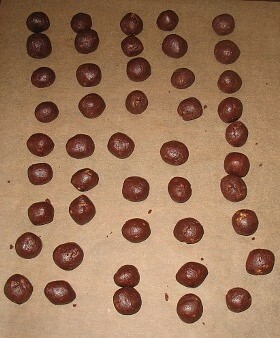 crumbs flying everywhere) or put the biscuits in a ziplock bag before crushing. 2. 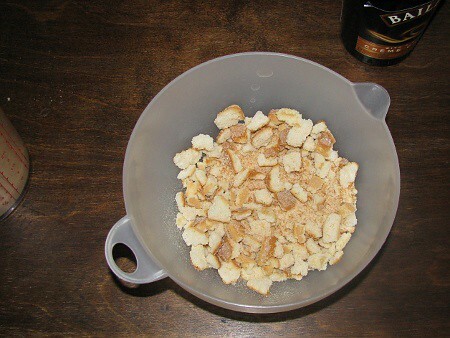 Mix the crushed amaretti with your amaretto, making sure to stir well so everything is wet. There should be no liquid left at the bottom of the bowl. 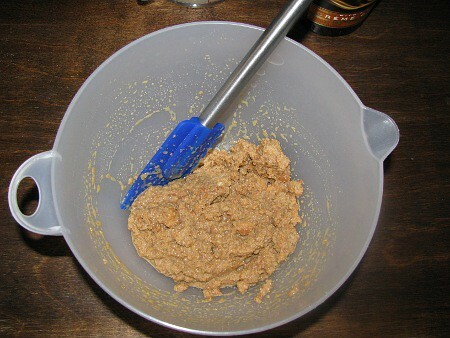 Leave the mixture to soak for about fifteen minutes. your sweets. 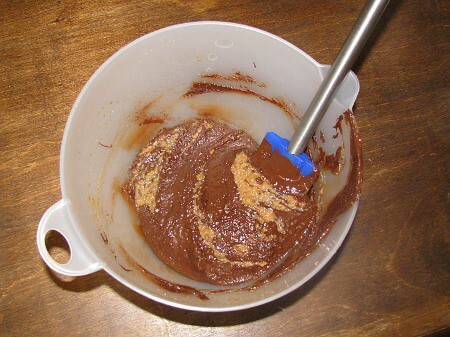 Working quickly, add the chocolate to your soaked biscuits and work everything through until it is well blended. 5. Get your chilled marbels out of the fridge and roll them around in the powdered sugar. I like to rub off the excess sugar, leaving them with a nice, even white coat. 6. 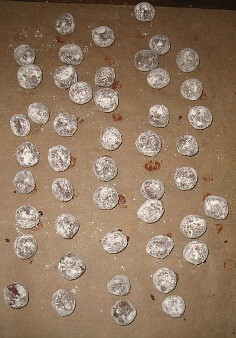 Finally, push the balls all together on your parchment paper and sift some dark cocoa powder over them. And you're done! Take a pretty picture, then serve immediately or store in an airtight container in the fridge for up to ten days. 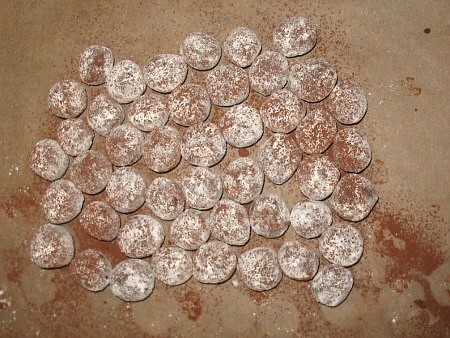 That was the first recipe for chocolates. Pretty easy, huh? But there's more. 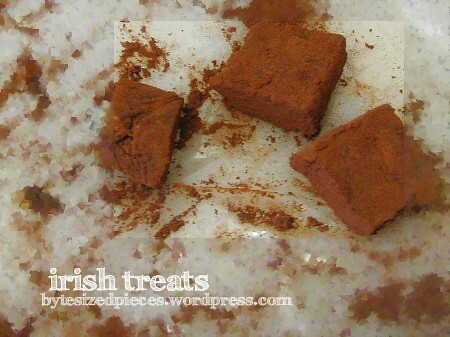 Read on to find out how to make the Irish Treats. 1. Start with crushing your lady fingers into pieces. 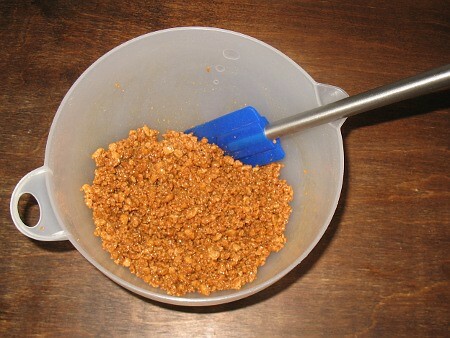 It's okay if there are a few bigger chunks left, just make sure most of them are crumbs. 2. 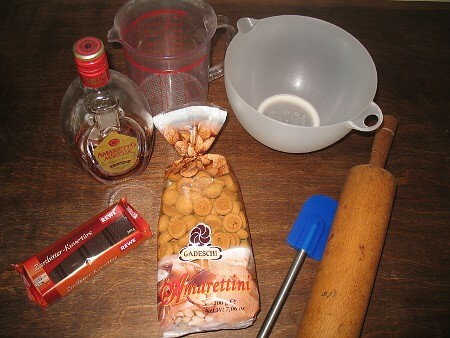 Mix lady fingers with your irish cream liqueur. (I like the Caramel Baileys they sell here, but any similar liqueur will do.) Make sure everything is moist and no liquid is left at the bottom of your bowl. Let sit for 15 minutes to soak. the extra kick. 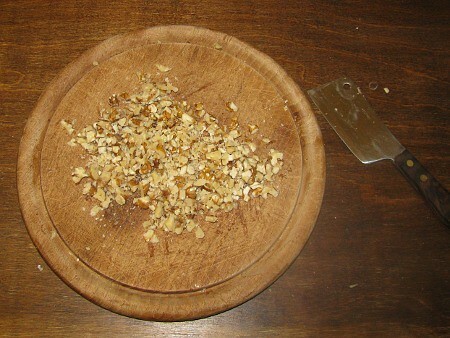 The picture might give you an idea of how much walnuts I used. 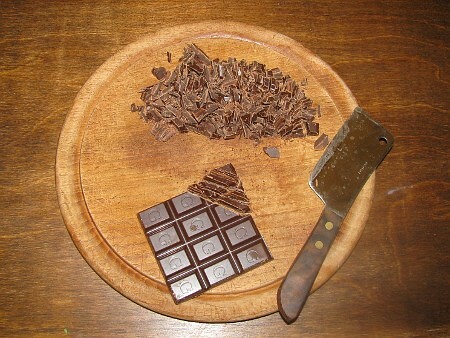 of chocolate, the quality of the chocolate will affect the taste of your treats. Always choose a chocolate you like to eat and don't always buy the cheapest brand, either. It's worth getting good chocolate to make these. the water later to cook pasta, make a cup of tea or water the flowers (after it's cooled down). 6. 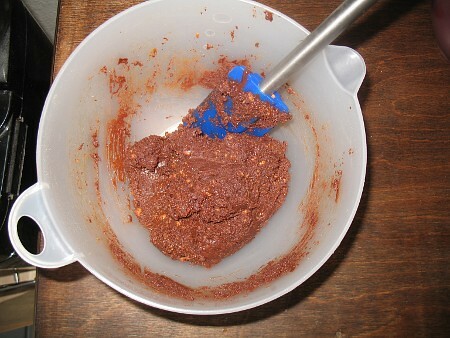 Mix your melted chocolate and chopped walnuts with the soaked lady fingers. 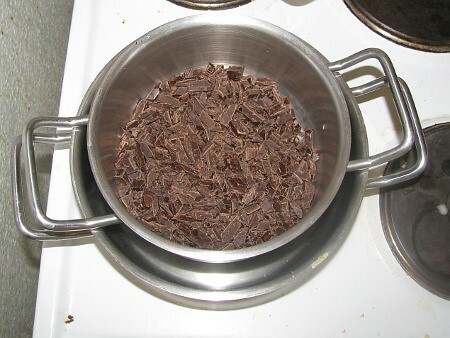 Make sure everything is well blended and then pour onto a chopping board covered with parchment paper. Try to smooth it into a rectangle. I actually like to use a small baking pan covered with cling wrap. That way I'll only have to worry about smoothing down the top. 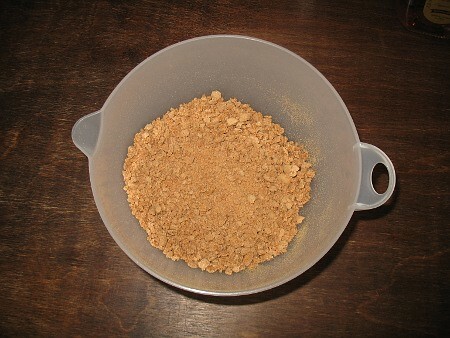 treats in the bowl until covered well, tap off any extra. That's it! Serve immediately or store in an airtight container in the fridge for up to a week. I think they taste best chilled. I hope you enjoyed making these chocolatey treats with me. Let me know if you have any questions. The things are all easily available here in Germany, but let me know if you have trouble with the ingredients or measurements. Tell me if you try one of these and thanks so much to Cheryl for letting me share these with you! Thanks for these delicious how-to's Isabel. SO much tasty!! Wow those look great, is there anyway to omit the alcohol in the recipe and use something else? Thanks for those recipes and I can see why they do not stay around long enough to get a good pic of them! These both look wayyyyy too good!! I'm stopping over from NFF. Ooh, those marble balls look amazing. I might make those for work sometimes soon. Thanks! These look so utterly delicious, I wish I had all the ingredients at hand so I could make them right now!